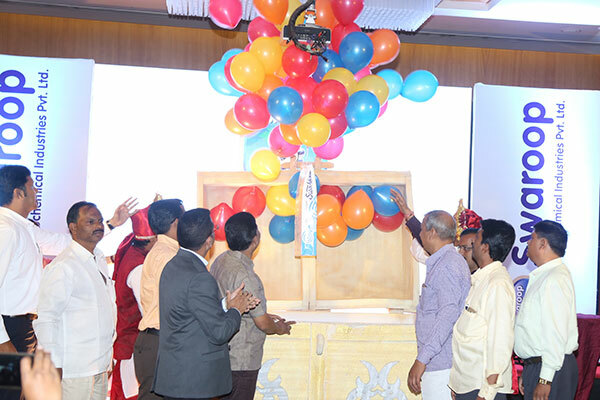 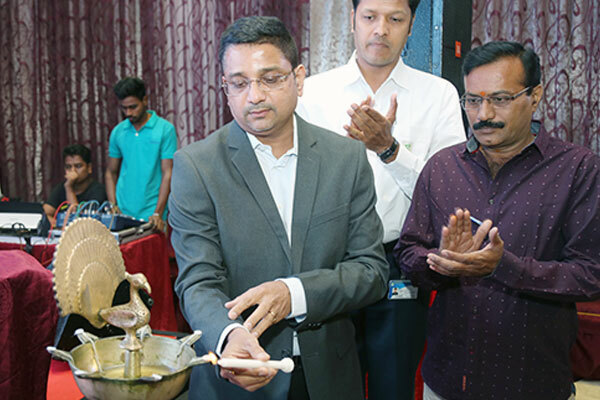 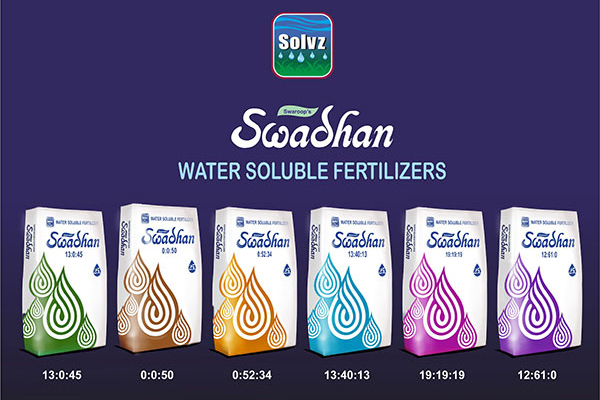 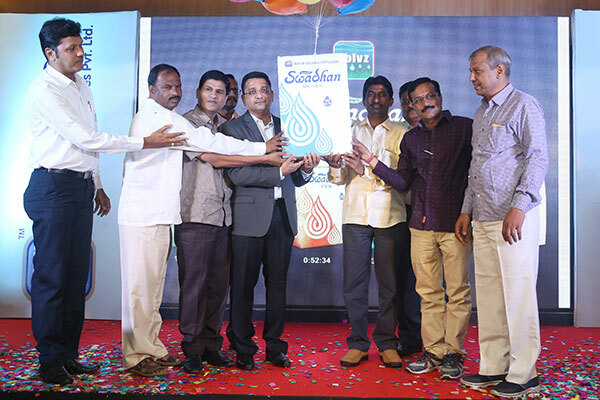 • Swaroop Agrochemical Industries Pvt Ltd has now entered the Water Soluble Fertilisers business by launching its Premier range of SOLVZ Water Soluble Fertilisers under SWADHAN brand. • SOLVZ WSF has enhanced performance due to stabilised and controlled pH which allows it to be equally applied in soils with low or high acidity. 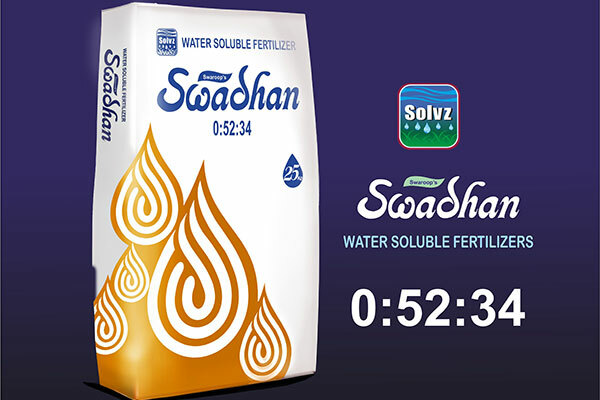 • The highly refined nature of SOLVZ WSF reduces usage of traditional fertilizers upto 25 %. 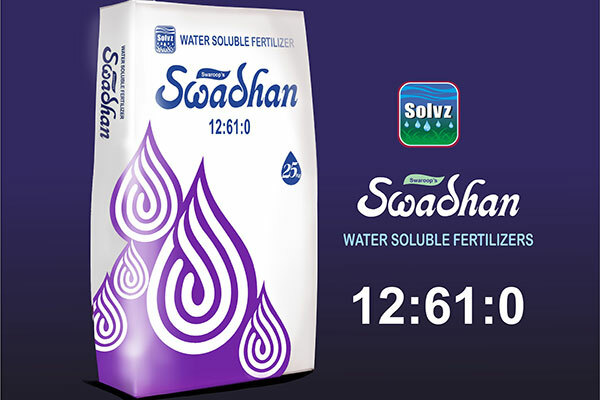 • Each drop of SOLVZ WSF is tested for presence of same constituents. 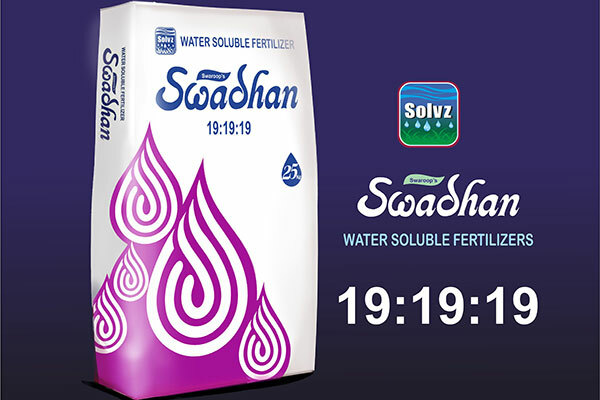 Also its ensured that no chlorine based contents are present in Fertilisers. 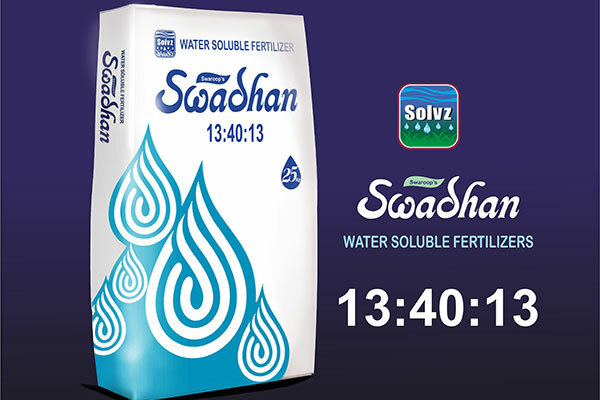 • Due to its high solubility in water , SOLVZ WSF can be used in soil application and also to spray on leaves. 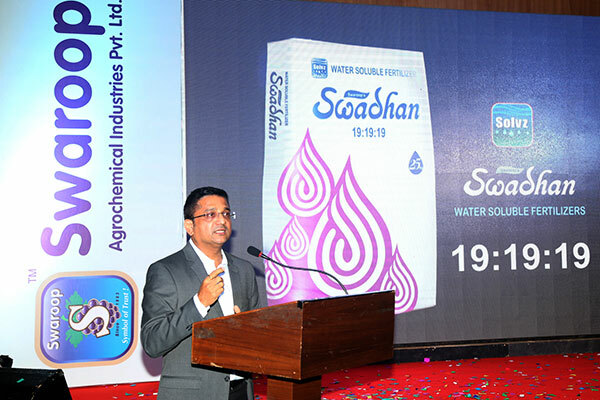 Due to its perfect chemical formula , it can be mixed with almost all other agri inputs such as other chemical fertilizers , Pesticides and Fungicides etc. 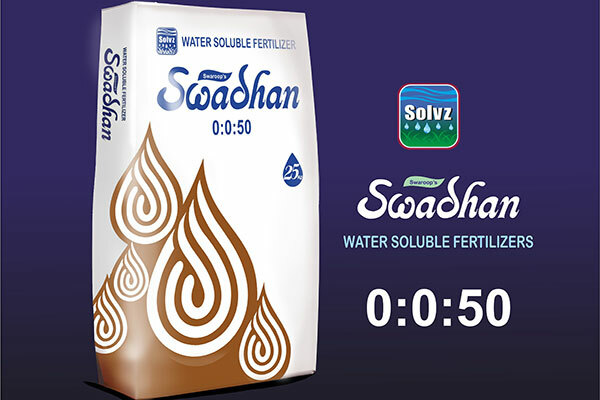 • SOLVZ WSF SWADHAN brand fertilizers are safe to use on all crops and leave no traces after harvesting crops.